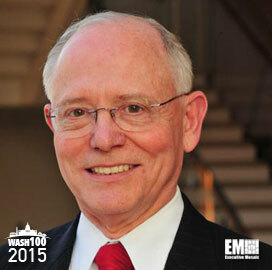 Executive Mosaic is honored to introduce James Peake, president of CGI Group‘s U.S. federal market subsidiary, as the newest inductee into the Wash 100 — a group of influential leaders in the government contracting industry. CGI Federal performs information technology services for U.S. government agencies in the defense, intelligence and civilian arenas. The subsidiary provides IT and project management support for the data consolidation efforts of Space and Naval Warfare Systems Command under a $50.3 million contract awarded last year. CGI Federal also has started to build a $13.1 million IT service delivery center at the University of Louisiana research park in Lafayette for the subsidiary’s portfolio in big data, cloud, cybersecurity and data visualization technologies. Peake, a retired U.S. Army lieutenant general who has served in Vietnam, was appointed veterans affairs secretary in 2007 and led the department’s veteran healthcare and benefits programs through the end of his term in January 2009. He holds a doctorate in medicine from Cornell University and has served as the U.S. Army Medical Department Center and School commanding general and Army surgeon general before his retirement from military service in 2004. Prior to his appointment to VA, he was executive vice president and chief operating officer of the nonprofit Project HOPE and COO and board member of QTC. Executive Mosaic congratulates James Peake and the CGI Federal team for their selection to receive this award.